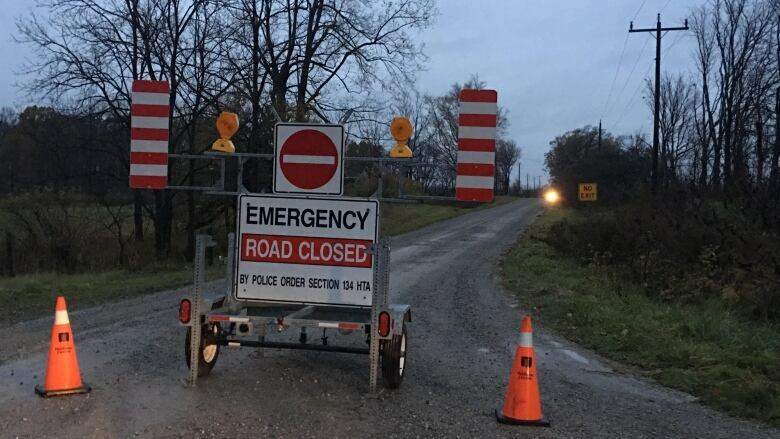 Provincial police continue to investigate the deaths of one woman and two men, whose bodies were found in a vehicle southwest of London, Ont. near Oneida Nation of the Thames Sunday. Provincial police continue to investigate the deaths of one woman and two men, whose bodies were found in a vehicle southwest of London, Ont., near Oneida Nation of the Thames Sunday. Reports of the initial discovery, the identities of the victims, and a suspect vehicle have been released, but there is still much to be learned. On Thursday, police identified the bodies as 37-year-old Melissa Trudy Miller, 33-year-old Alan Grant Porter and 32-year-old Michael Shane Jamieson, all members of Six Nations of the Grand River near Brantford, Ont. CBC News reached out to the Six Nations council, looking to learn more about them. A representative for the council said they will not be talking to the media out of respect for the families, who are grieving the loss of their loved ones. The council said families wish not to be contacted. Middlesex OPP were called to a field in the area of Bodkin Road and Jones Drive in Middlesex County at 10 a.m. Sunday after reports of a grey pick-up truck in a field. Three bodies were discovered in the truck. An autopsy was conducted on Tuesday in Toronto. Police identified the truck as a grey 2006 Chevy Silverado. They've made a plea to the public for any information that can establish a timeline for the vehicle before it's discovery. Bodkin Road was closed at Jones Drive for four days, but has since re-opened. There are still a number of details that are being withheld as police continue their investigation. What were the causes of death determined by the autopsy? How long were the bodies at the site before they were discovered? Were the victims known to each other? Were any of the victims reported missing person? Have any suspects been identified in the case? Police have confirmed that the homicides are not being investigated in connection with any other cases. The remains of 48-year-old Douglas Hill were found in Oneida territory in Aug., 2017. He was last seen on Six Nations of the Grand River territory months before he was found and his death was considered a homicide. Four people have been charged in connection with the case. "That is not something that we can definitively say is linked at all into this investigation," said Middlesex OPP Const. Max Gomez. "We are treating this investigation as a stand-alone investigation."